Should we put down the obvious changes to the games, such as KHIIFM and BBSFM remastered in HD, Playstation 3 Trophy Support, etc... like in the 1.5 page, or wait until they are officially detailed? "...the Kingdom Hearts Re:coded cutscenes (two of which were completely new) extended to three hours..."
This doesn't make sense. As read out, it seems to say two cutscenes were completely new, when "two" actually refers to the hours. There are three hours of cutscenes, two of which are completely new and unseen. That's why it should be "the Kingdom Hearts Re:coded cutscenes extended to three hours (two of which are completely new)..." Also, maybe we should remove the parentheses? They're easily replaced with a comma. I was the one who originally put the parentheses there, and now they seem unprofessional there. But that's not the issue, so it doesn't matter. "...the Mirage Arena in Kingdom Hearts Birth by Sleep Final Mix would not have multiplayer capabilities through PlayStation Network..."
This makes sense grammatically. My deal is in the fact that, increasingly, it seems Tai Yasue didn't mean there wouldn't be online multiplayer capabilities, it seems he meant there wouldn't be multiplayer capabilities at all. When I first wrote it, I based myself on what Kingdom Hearts Insider had written. I hadn't watched the video yet. But in interviews since Square Enix Presents Day 1, he seems to be saying there wouldn't be any multiplayer capabilities at all. He never mentions the PlayStation Network, nor does he mention that you can still play with your friends on the same system. He says it's been tweaked to be better in solo mode. If the "two hours" refers to two hours of new cutscenes (rather than two new cutscenes, as I read it), please change this back. As far as the Mirage Arena thing, delete the bit about PlayStation Network. There's no multiplayer at all in KHHD2, so to say "through PlayStation Network" would be misleading. How about this? 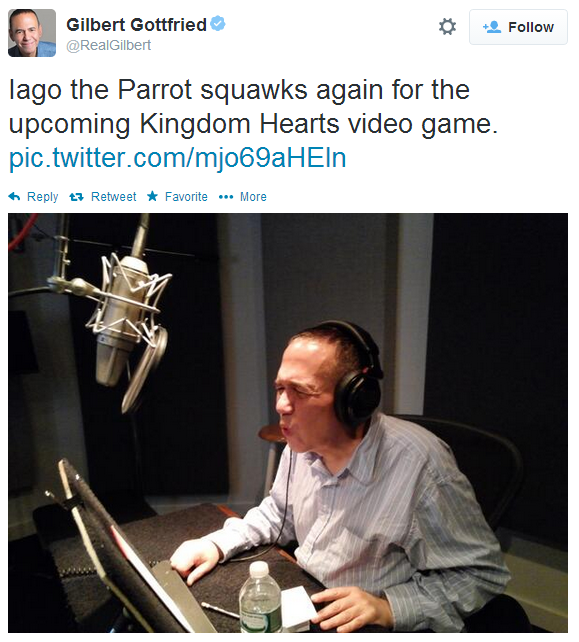 In an interview during E3 2014 on June 10, 2014, Tai Yasue said that the development of the compilation was far easier than the development of Kingdom Hearts HD 1.5 ReMIX. Yasue continued, commenting on some of the game's features: the Kingdom Hearts Re:coded cutscenes have been extended to a total time of three hours, two of which are completely new, and the Mirage Arena in Kingdom Hearts Birth by Sleep Final Mix will not have multiplayer capabilities. This page was last edited on 9 August 2016, at 07:06.